kiwisa (North Shore, New Zealand) on 26 November 2016 in Animal & Insect. Beautiful capture! Are they young birds on the rock? 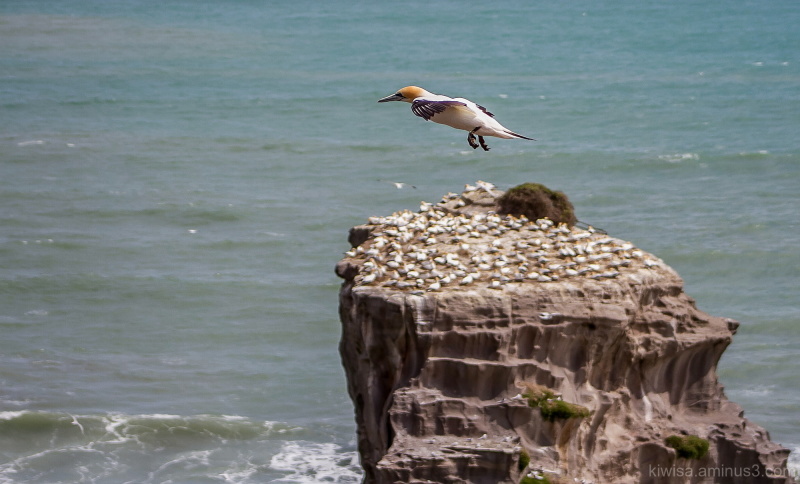 Beautiful view of the bird in flight and the colony on the eroded rock. Some of your Colony are super good Frances. well worth the trip.